I had a plan when I sat down to write this article, but it was derailed by a playlist of hymns. One of my favorites, Fairest Lord Jesus, sent me in a new direction. I want to dwell on the beauty and the wonder of Jesus. The Bible calls that His glory. Jesus’ glory is Jesus character revealed. Jesus’ glory is what makes Him attractive to us. John 1:14 ties it to the grace and truth that fills Jesus. Jesus is the powerful revelation of the truth about God and about us. He shows me what righteousness, justice, holiness, and compassion look like perfectly lived out. I want to be all of those things, and I want to be them just like Jesus is. But truth be told, I’m not. Fortunately, Jesus is also the revelation of grace. The grace to forgive my shortcomings. The grace to transform my shortcomings. Seeing Jesus’ glory is the Christian’s greatest privilege. I see it only by faith. I see it only because He is gracious enough to show it to me. I see it when I come face-to-face with Jesus, my Redeemer, my Savior, my Sustainer, my Hope. I have seen Jesus’ glory this week. I saw it in a young woman finding salvation, and then finding safety and support from an FBC family. Jesus is Redeemer and Savior. I saw it in the care of a grieving widow. Jesus compassionately sustains. I saw it in the rush of encouragement and intimacy from an old hymn. 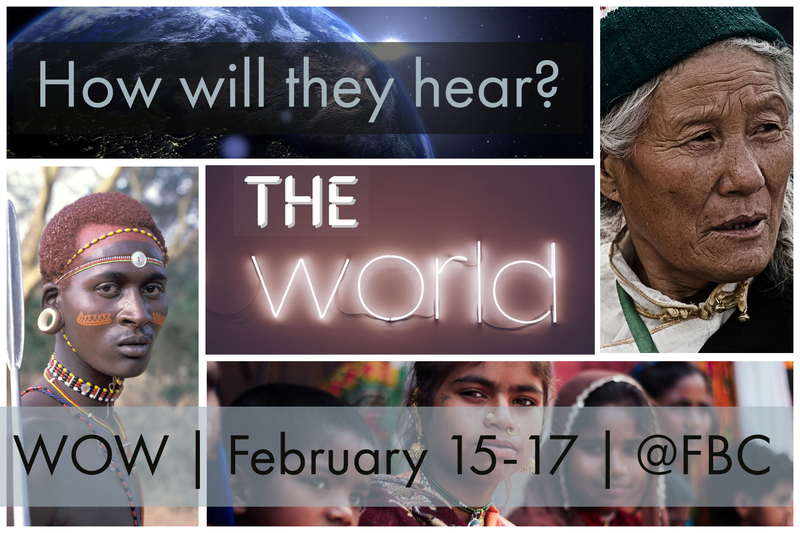 In Romans 10:13-15 we hear the cry “How shall they hear?” Join us this year at WOW 2019 on February 15-17 as we hear our missionaries describe how people are hearing the Gospel around the globe and in our neighborhoods. From the Friday “Pie Night” to the Sunday morning service, our weekend will be filled with stories of God’s faithful movement throughout the nations. Our missionaries will be joining us for the Men’s Breakfast and Women’s Brunch on Saturday, as well as hanging out with the youth that evening. On Sunday they will be joining us in our Life Groups as well. Keep your eyes open for the full schedule of events at the Outreach Desk in the foyer of the Worship Center! We have so many great women’s events happening in February! 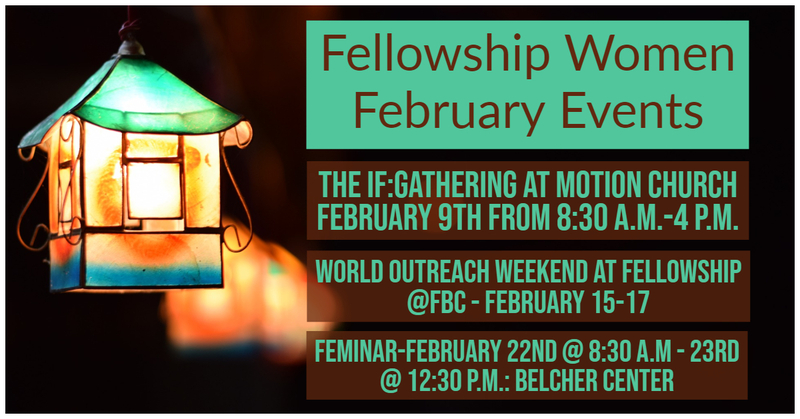 The IF:Gathering at Motion Church February 9th from 8:30 a.m.-4 p.m. The women’s missionary brunch will take place on Saturday, February 16th. If you would like to help prepare the meal for this, please let us know (lil.blesins@gmail.com) and we will get you connected . Please make plans to attend to encourage the missionary women of FBC. I know they love to visit and see everyone when they are in. Maybe invite them to coffee after, take them to run errands, or get their contact information so you can stay in touch. 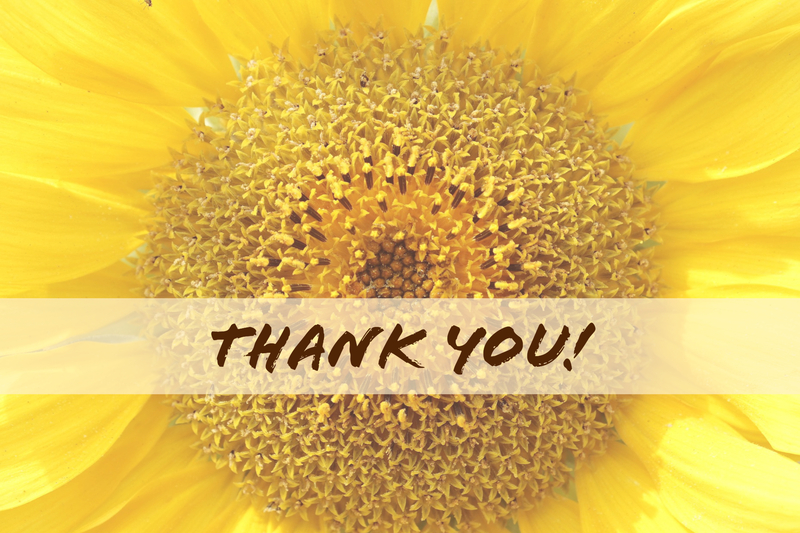 The Women’s Ministry Team would like to say a special, “See You Again!” to Ms. Sue, mother of Dee Ann Coker. Ms. Sue entered into our Savior’s presence on January 2nd. She served our women’s ministry faithfully since we began together and it was an honor to serve with her. She touched many with her sweet smile and willing heart. Kids’ Ministry needs YOUR HELP! 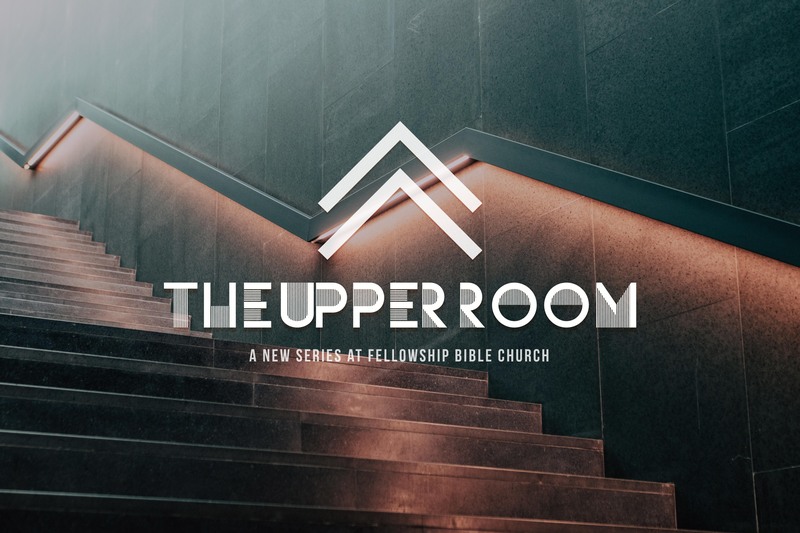 We need people willing to be part of our Greeting Team; Hall Team and Snack Team (these are short periods of serving on Sunday mornings). We also are in need of 3 people to be co-teachers for the 3’s class, 1st grade, and 6th grade. We can always use people who can be on our sub list! 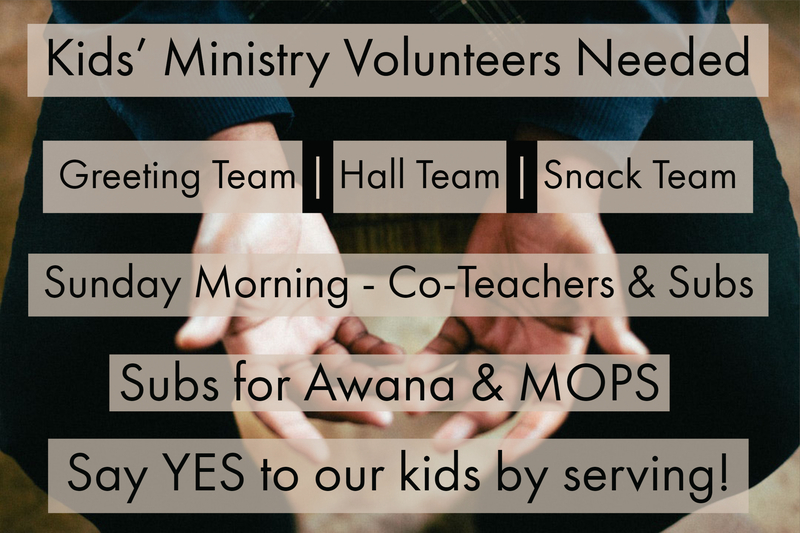 Our partner ministries, Awana and MOPS are in need of regular subs as well. Please say “yes” to helping us spread the gospel to our sweet kids! Contact Rebecca Simcox at rebeccas@longviewfbc.com to get involved with Kids’ Ministry! February 3rd: Favorite Sports Team Night – Clubbers wear sports team shirts or jerseys as uniform for the night. February 10th: Verse-a-thon – Sparks and T&T will raise funds for Awana missions by reciting verses from memory. 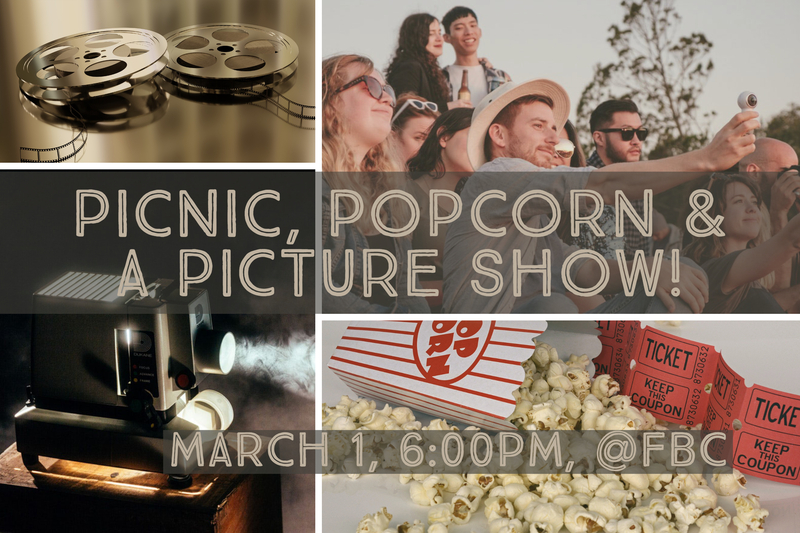 February 17th: Missions Night – Clubbers will learn about missions from FBC missionaries. Thank you for the beautiful flowers, calls, prayers, and love shown to me for my short stay in LRMC for chest pains. Thank y’all for the flowers while I was in the hospital. But most of all thank you for your prayers.